This manual shows how to use the Z-SUITE software correctly. The following topics describe step by step all options of our software. The hardware requirements for the Z-SUITE are listed below. Download the latest version of Z-SUITE from the download section at the Support Center Download section. You will need the serial number of your printer to complete the download. To find the serial number, go to “Information” option on the display and choose “Serial Number.” Also remember to update your Firmware to the newest version. The newest version is available at the Support Center in the Download section – to update, extract a zip file. Copy update.bin on your memory card, insert it into the printer, then turn on the printer. 1. 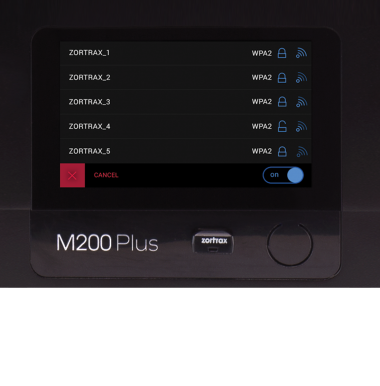 On the Z-SUITE start screen, select the model of the printer you are going to use. 2. The recently selected model is displayed in the bottom right corner of the screen. 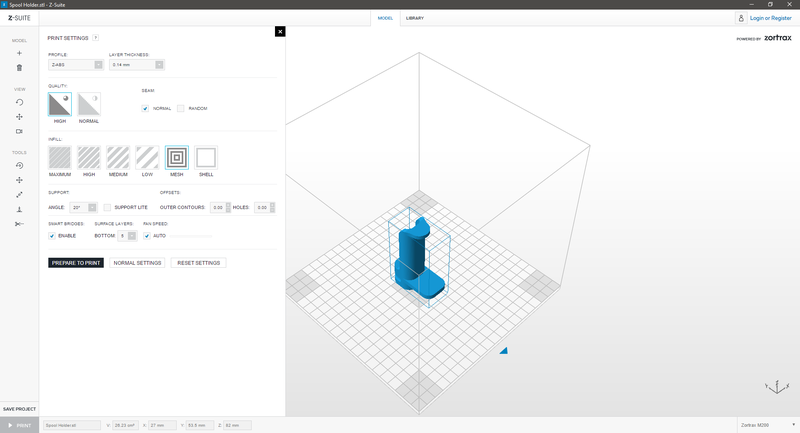 You can change the model at any point of planning the print by selecting the other model from the list. 1. On the start screen, select the model of your printer which will be used. 2. 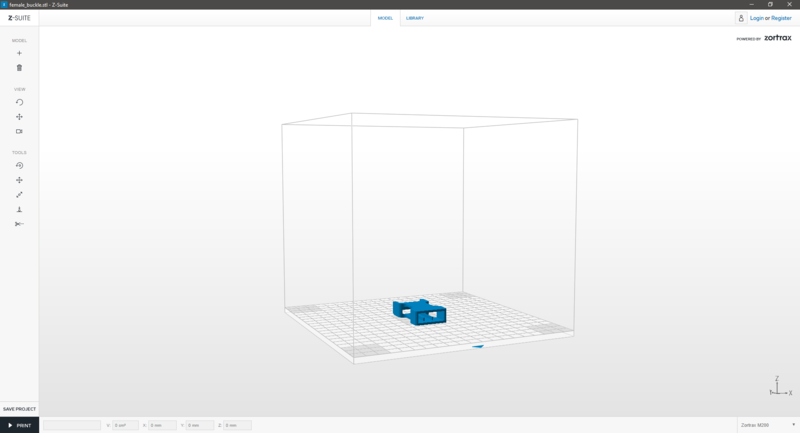 Use “+” icon or use drag and drop option to upload a model. You may do so with models saved in an .stl or an .obj format. 3. Select a model and click OPEN. 4. Your model is now within the workspace. To select the model, click the right mouse button. You can save your model at any time by clicking SAVE PROJECT. 2. 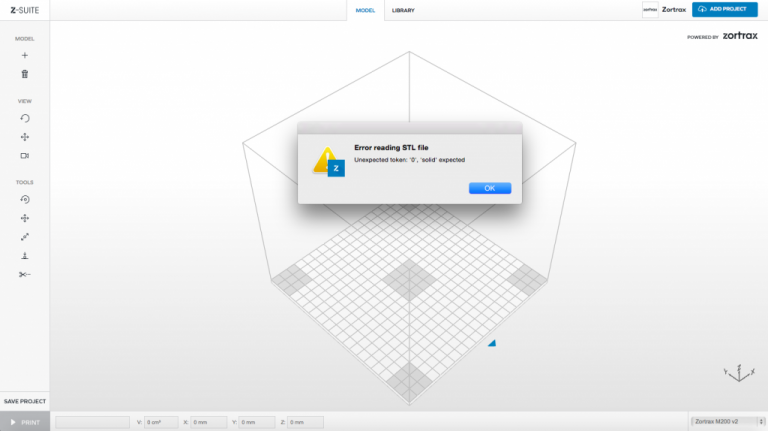 Use “+” icon or use drag and drop option to upload a model in .dxf format. 3. 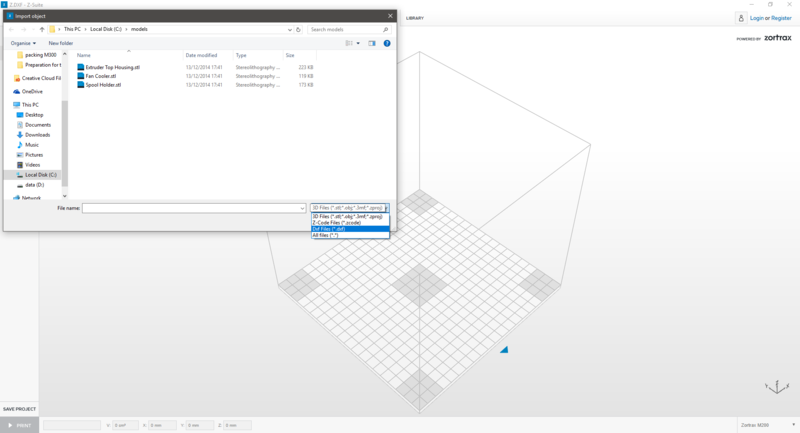 From the list select a .dxf file and click OPEN. 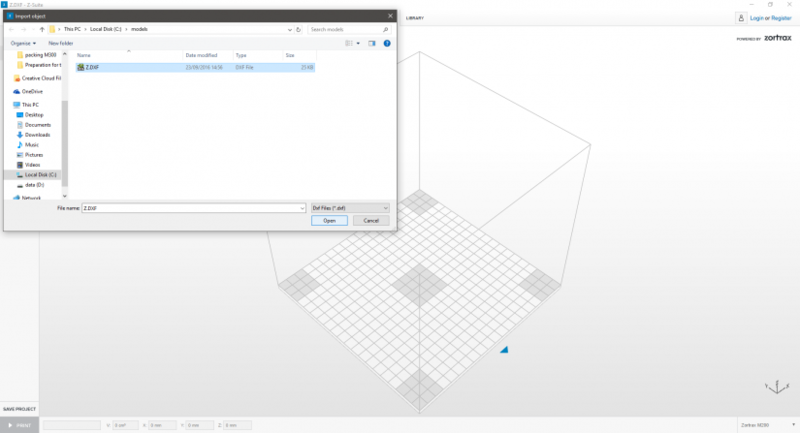 Make sure that your .dxf model is saved as a polyline of two dimensions – R12 ASCII type. Also, your model should contain closed polylines. 4. While adding the model, the Z-SUITE will display a message about converting the units (from inches to millimeters). 5. 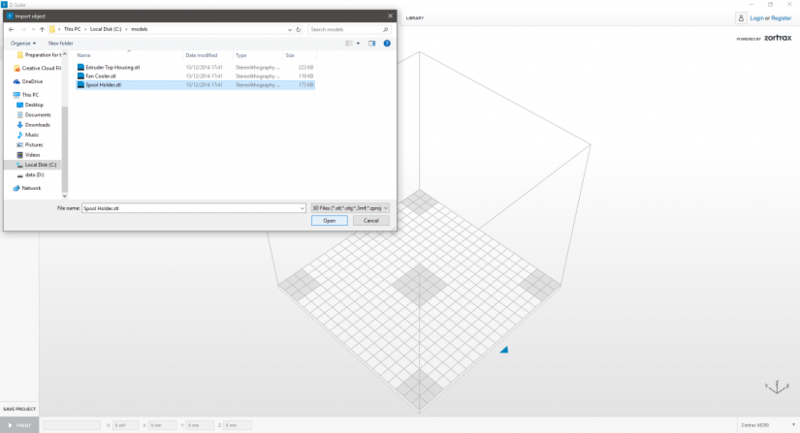 A .dxf 2D model is automatically converted into a 3D model of 1mm height. 6. 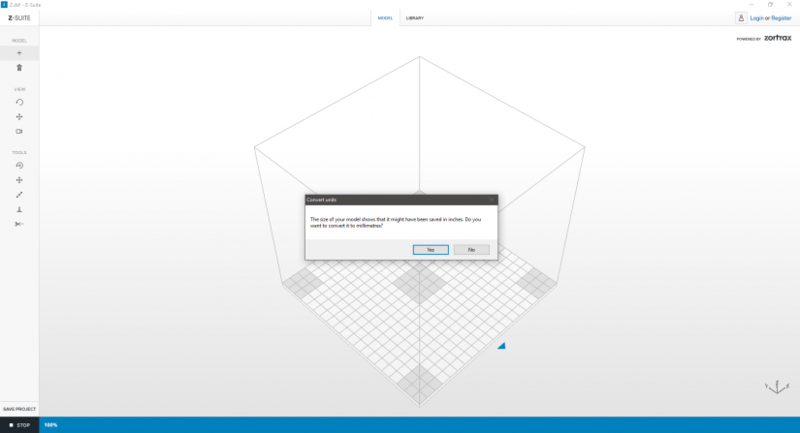 If you wish to change the height of your model, click “Resize Object” option. You can enlarge the model along the Z axis. Click a padlock icon to change only one measurement. If your model needs to be 50mm high, change its height 5 times (500%). If your model does not fit the workspace, you can split it into smaller parts. 1. Click “Split” icon to split the model. 2. Choose the position of the cutting plane. You can change the parameters manually or adjust the slider and click “Split” or ”Split All.” Each separate part can be saved by clicking “Export”. 3. Delete one part of the model and “Auto arrange” the other part in the workspace to prepare it for printing. With “Rotate Object” option you can rotate a model in the workspace in three directions. You can rotate the model by adding an angle or clicking and dragging the selected model. Choose one of the three axes: X, Y or Z to decide in which direction you want to rotate the model. To make it easier for you, there are three mirror flips. 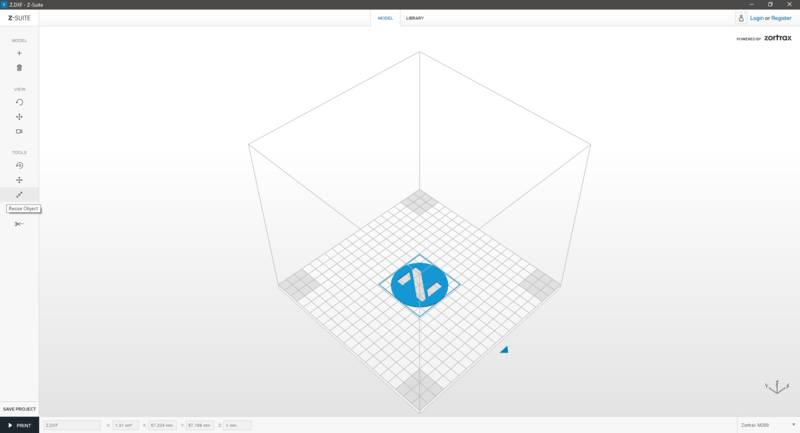 Click “Resize Object” icon to scale the model. 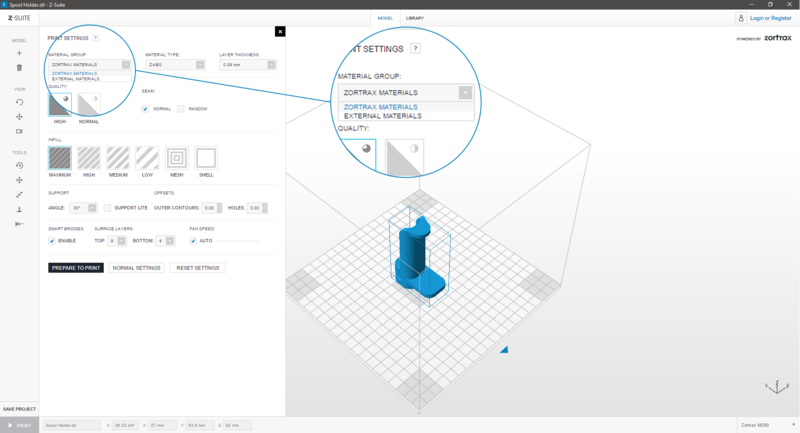 You can resize the model by changing the parameters in the table or by using the click and drag option. 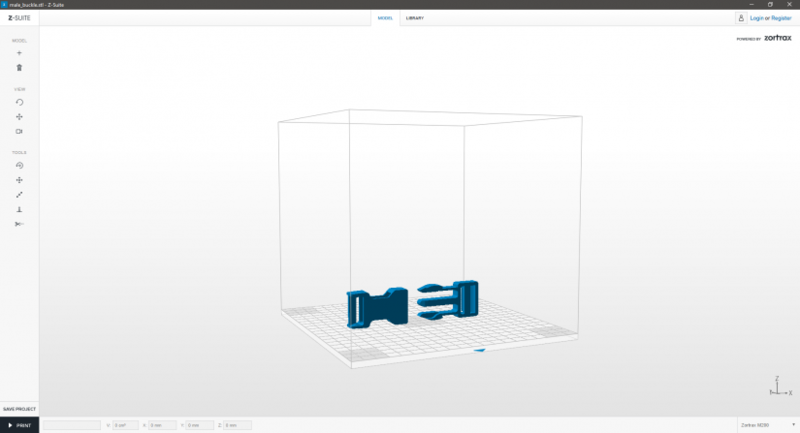 If you want to enlarge your model in all axes click and secure the padlock icon. With an unsecured padlock you can change the parameters independently of one another. You can acquire the desired shape of a model by typing the exact value in millimeters. Just click the “%” button to switch to “mm”. This option becomes useful whenever you want to change the height, width or thickness of the model and be sure of the precise measurements. 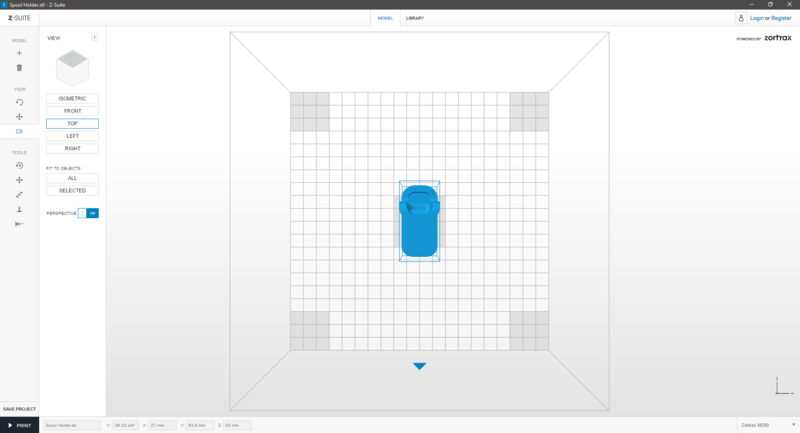 Click “Move Object” icon to move the model in the workspace. 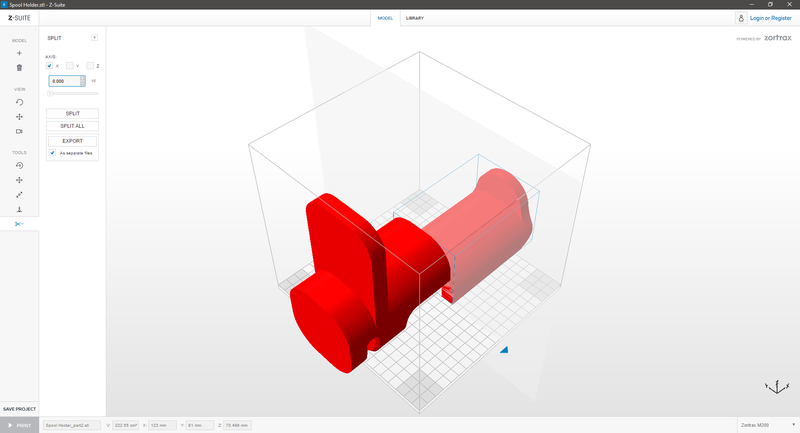 You can move the model by editing X and Y parameters or click and drag the selected model. Click “Auto Arrange” icon to auto arrange your model in the workspace. 1. To copy a model, select an object and press CTRL + C keys. 2. Select the model and click the “trash” icon or press delete key on your keyboard to delete it. Click on the “Auto arrange” icon in the left menu bar to auto arrange your model in the workspace. 1. If the model turns red, it means that your model is outside the workspace. 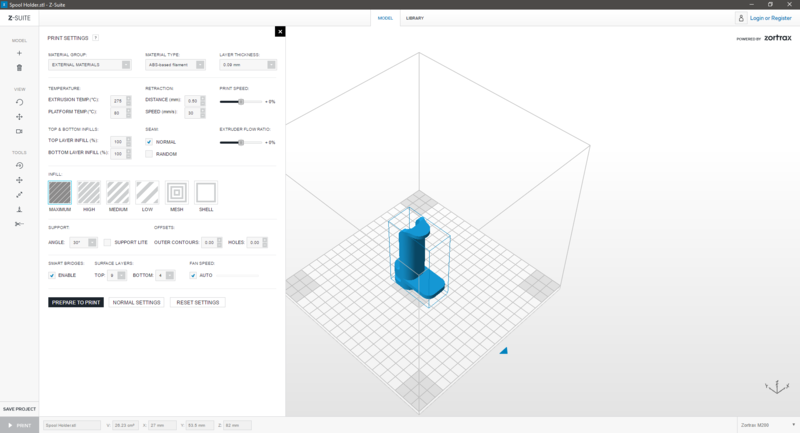 Resize or move the model to mould it to the workspace. 2. If the model turns orange, it means that a collision between the two models has been detected. You can still prepare them for print. The models will be merged together and printed as a one piece. 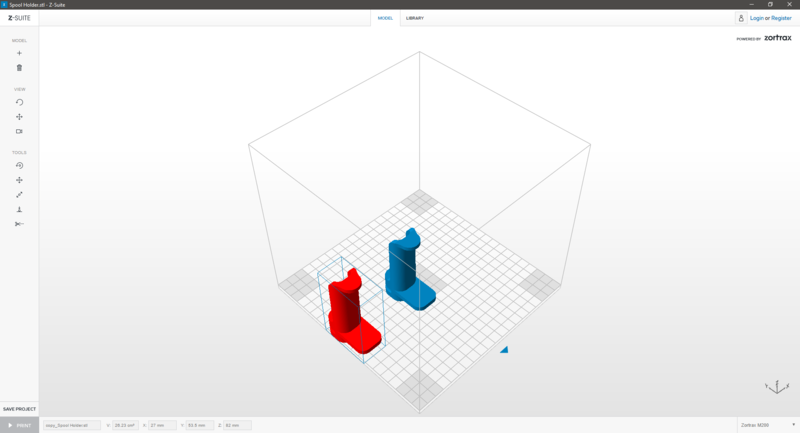 If you don’t want them to be printed as a one piece, resize or move the models around the workspace. 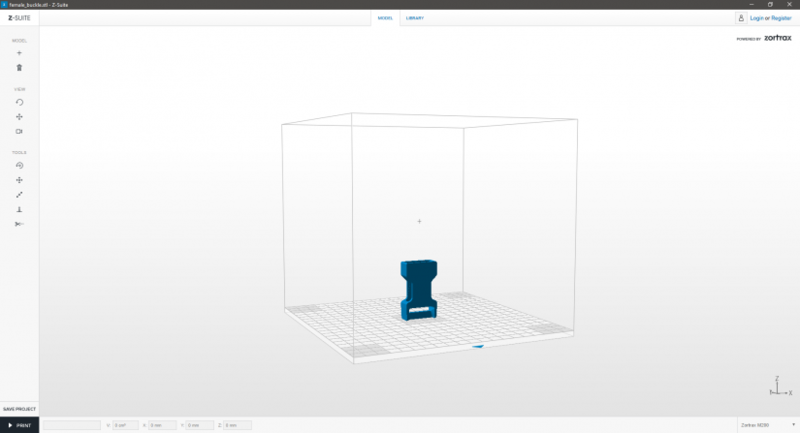 Click “Select View” to quickly select the view of the model. 1. Use the “Move view” icon to move the workspace view around the screen. 2. Hold the left mouse button and move your mouse to relocate the view around the screen. 1. Select “Rotate view” icon available in the menu on the left in order to rotate the workspace view. 2. Hold the left mouse button and move your mouse to rotate workspace view. Hold the right mouse button to move the workspace view around the screen. Use the mouse wheel to zoom in and out. 2. 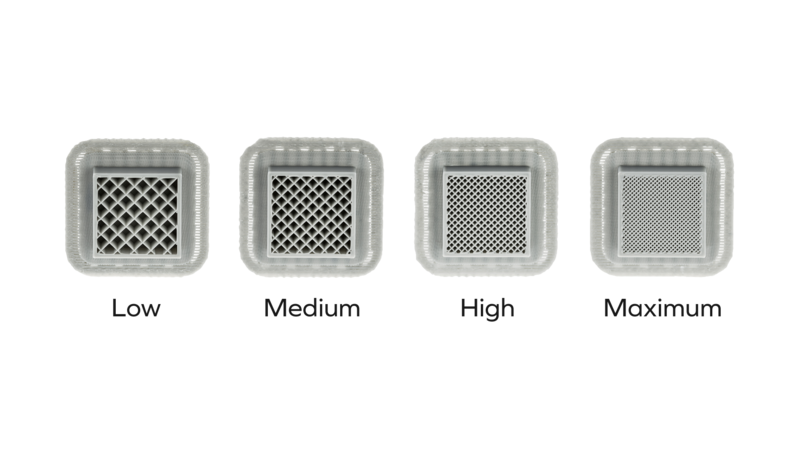 Set printing options: PROFILE/LAYER THICKNESS/SPEED/INFILL. Read the article Print Options. Layer thickness: choose the height of one layer: 0,09mm/0,14mm/0,19mm/0,29mm/0,39mm (depending on the material). Finer layers provide better surface quality but make printing more time- and material-consuming. in M200: HIGH/NORMAL. High quality gives better looking prints but increases the printing time. in M300: HIGH/NORMAL/DRAFT. 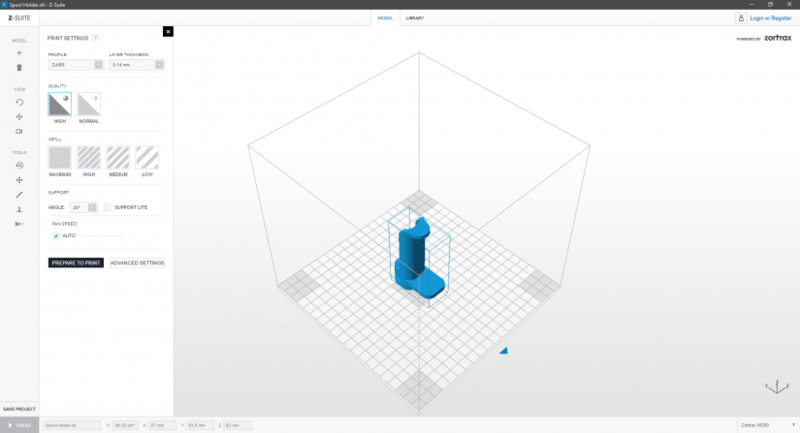 Models with HIGH option take more time to be printed but are of better quality. Infill: choose the model infill: MAXIMUM/HIGH/MEDIUM/LOW. All four types of infill are presented in the picture on the right. MAXIMUM infill allows printing with the highest strength level. But the larger infill, the more time and material is needed for such a print. 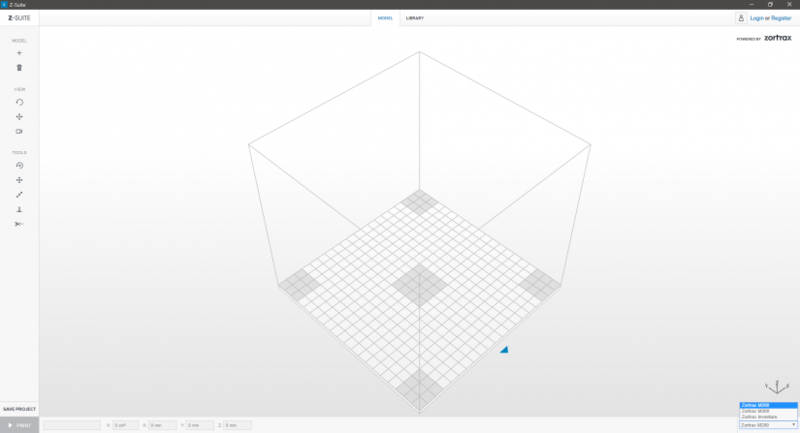 SUPPORT – Select the angle at which the support structure is generated. 20° is the default option. It means that for all hanging parts of the model the support structure is generated at a 20° angle. 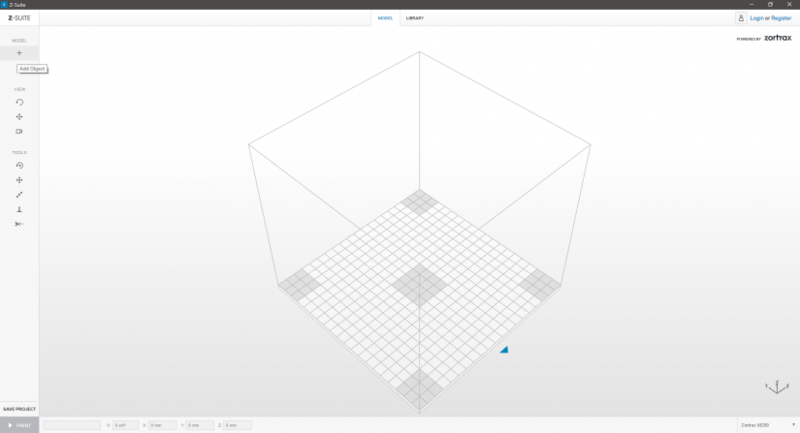 SUPPORT LITE – Choose this option to generate the support structure without the outer perimiter. Support lite consumes less material and it is easier to remove. PRINT COOLING – You can choose the fan speed which cools down the model that is being printed. 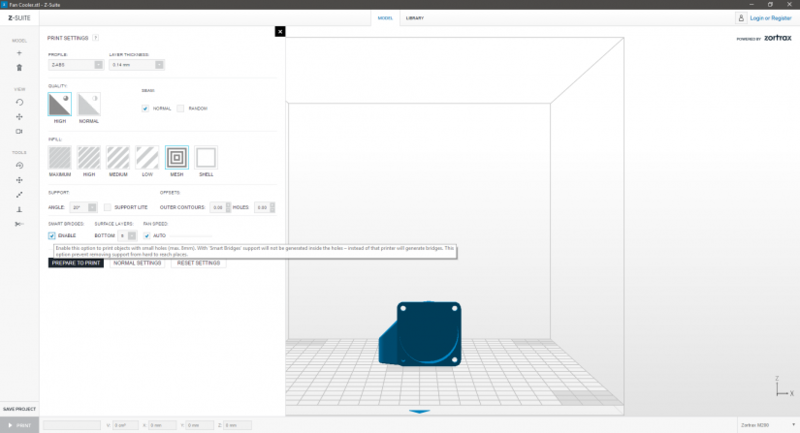 Cooling is not useful for big prints without any thin parts, whereas high cooling is better for small and thin prints. We recommend leaving the default option – AUTO. The printer will adjust the fan speed accordingly. 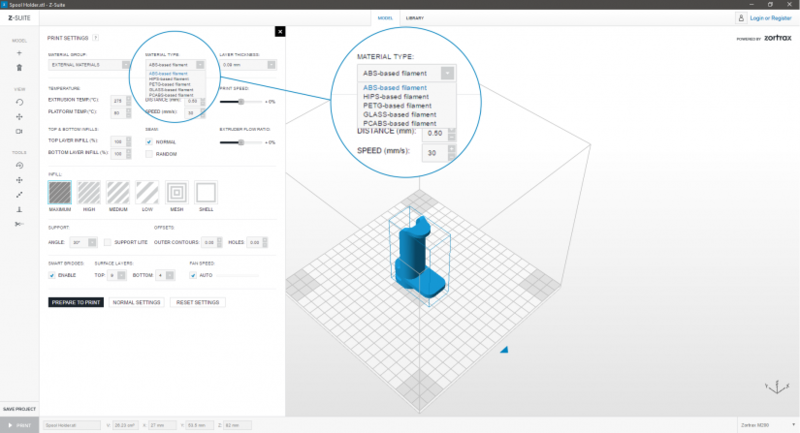 OFFSET – this option helps to correct the internal and external dimensions of a model (in millimeters). It is possible to modify outer contours and holes dimension, however, only in the X and Y axis. SHELL – Prints the model with 0% infill and no top and bottom surface layers. This option allows to choose the amount of the model wall. 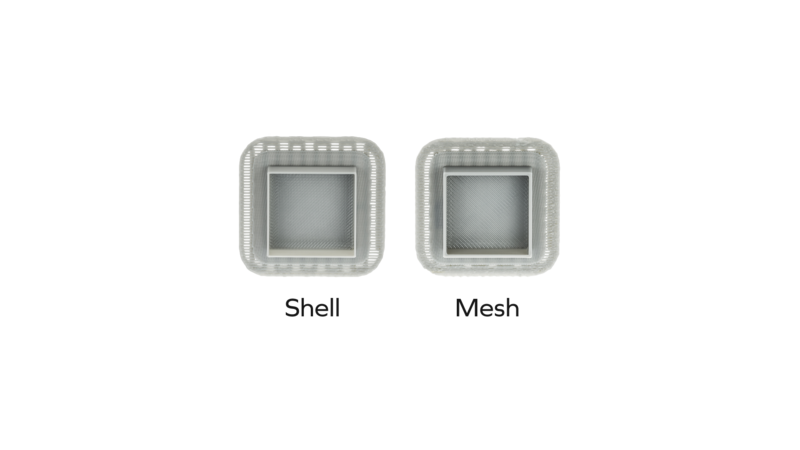 If you want the bottom layer to be printed, check the BOTTOM surface layer box while choosing SHELL infill. There is a SPIRAL MODE available with SHELL option. If you choose this option, your model will be printed with no seam. 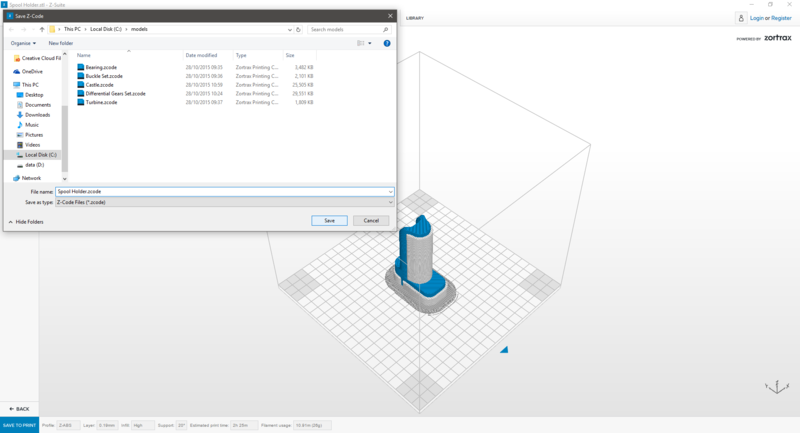 If you’ve decided to apply non-Zortrax materials, use Advanced Settings and change the material group to “External Materials” while preparing the model in the Z-SUITE. First of all, you have to choose the base material that’s going to be used from the dropdown list – Material type. The default values for each setting are the most recommended for the selected material type. 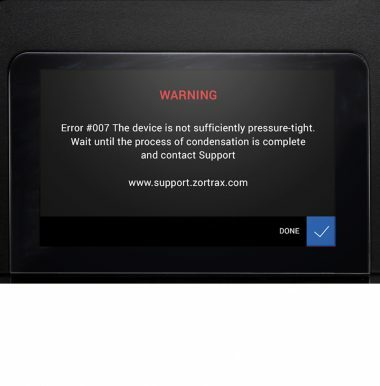 However, the settings for other materials than those produced by Zortrax can be still adjusted differently, according to specific requirements. Retraction – Settings of the mechanism which helps to prevent strings from appearing on your model. 1. 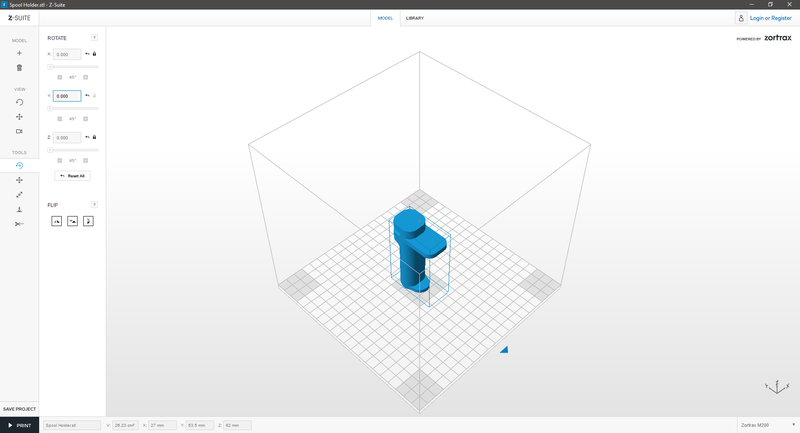 Generate the .zcode when preparing the model for print. Read the article Preparing the model to print. 2. The Z-SUITE will show the information on the material usage and estimated print time. 3. 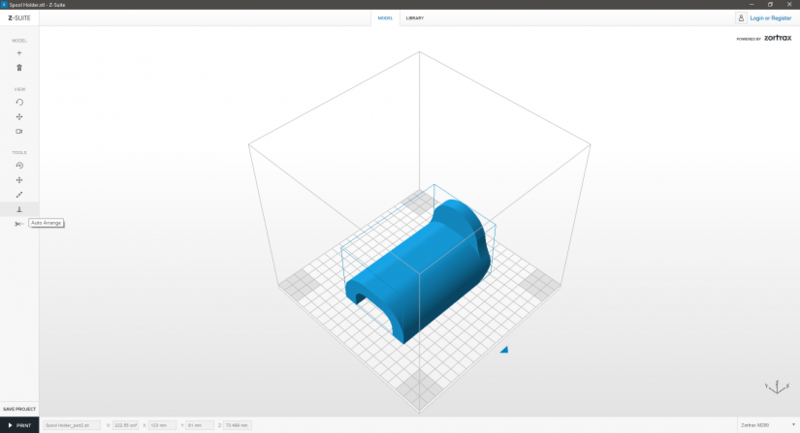 Add a pause – “PAUSE” option divides the print into stages and allows you to hold the printing process in order to change the material. To plan a pause, move the slider onto a desired layer. – “INSERT” function allows to set the pause in a chosen place. 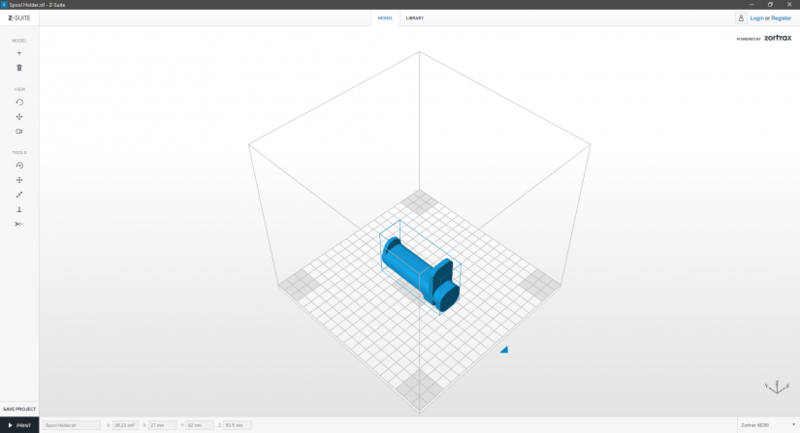 You can use this function several times in order to plan multiple pauses during one print. – “REMOVE” function allows to remove a pause. – “REMOVE ALL” function allows to remove all pauses. 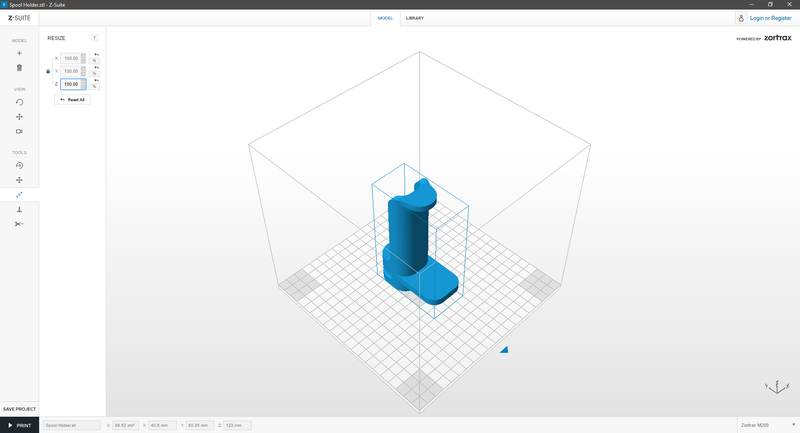 For example, you can uncheck the model to see what the seam will look like in your print. 5. Save your .zcode (with pauses) on a hard drive or directly on the SD card – click Save to print button. Gain more control over the printing process. The Print cost calculator in the Z-SUITE allows you to estimate the cost for an individual print. To calculate your print cost, simply type the cost of a single spool. 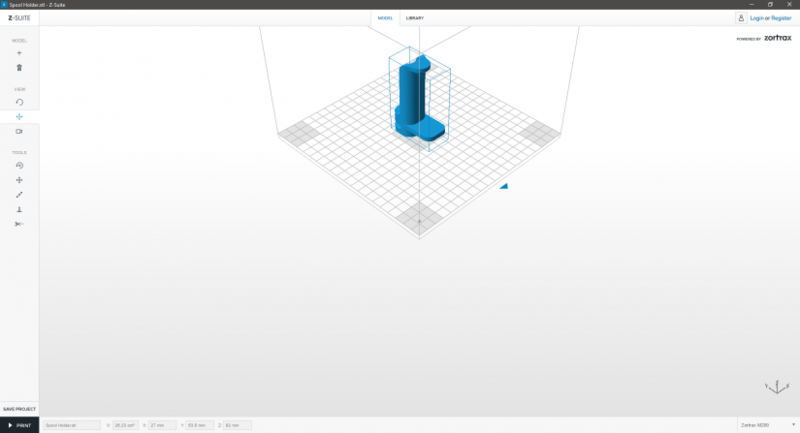 Press Calculate button to know the total cost of the print. Once the .zcode has been generated, your model is ready to be saved on the SD card. 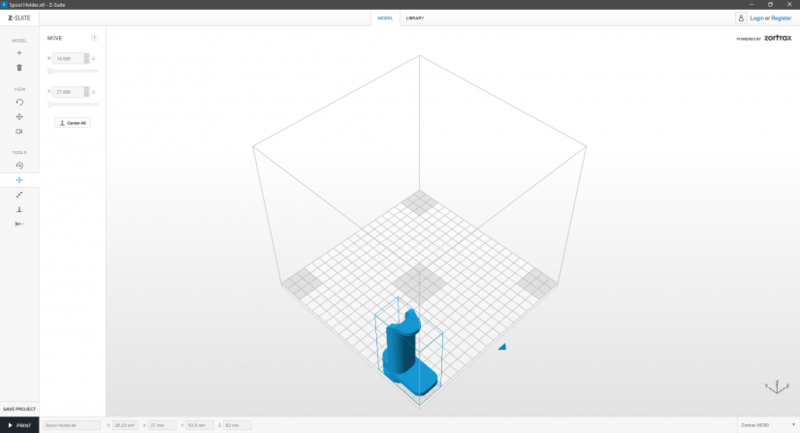 Information about your print: profile, layer thickness, infill as well as an estimated print time and material usage will be shown at the bottom of the screen. Save your .zcode on a hard drive or directly on the SD card by clicking “Save to print” button. Insert the SD card into the printer and start printing. Enable this option if you wish to print an object with small holes (max. 8mm). These holes are “Smart Bridges” with no support structure inside them. The printer will generate bridges in the model. Thanks to this option, removing the support structure is not necessary. Choosing your print’s orientation can highly influence the final look of your 3D print. By selecting the proper orientation, you can easily eliminate most defects that may appear on your print and, as a result, you can obtain a much smoother surface. 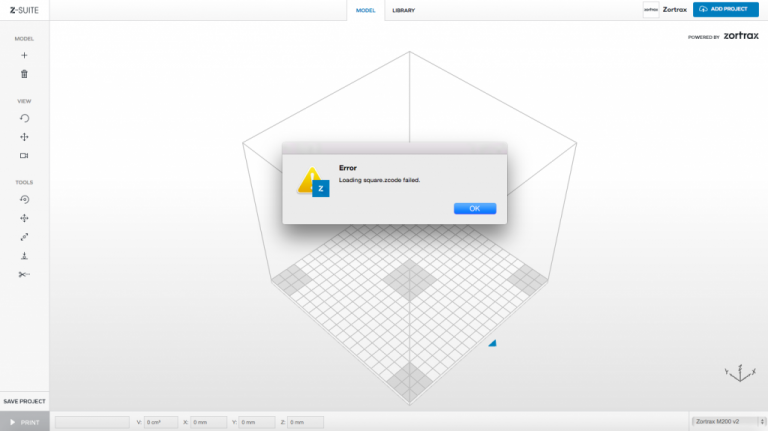 As your model is being printed one layer after another, you may notice some imperfections on its external shape. Every layer sticks to the already dried previous layer, so the two layers cannot stick to each other without leaving a visible mark on the surface. The way to avoid weak spots that may appear on the surface of your print in the process of printing is to change the position of your model. Weak spots may influence the model’s resistance. 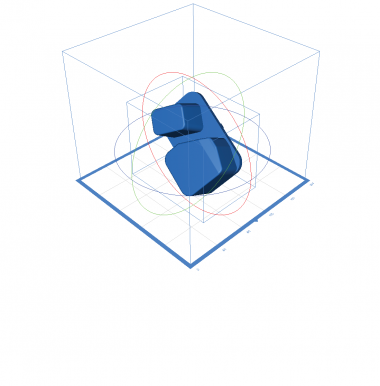 Placing the model vertically instead of horizontally may eliminate the problem of weak spots. 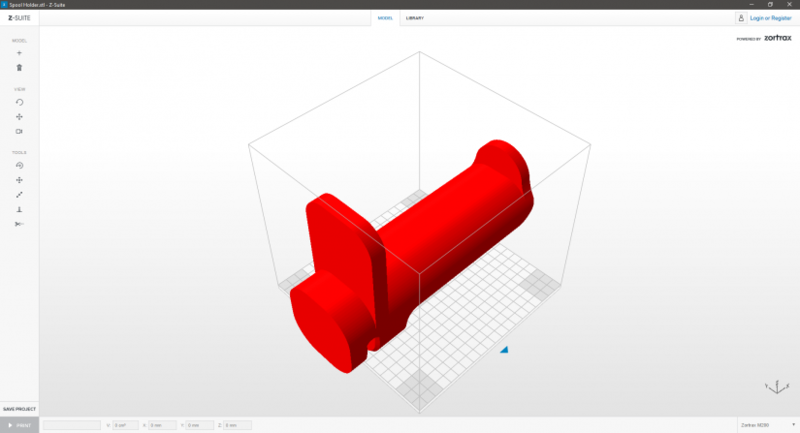 If you want to print an object consisting of two or more seperate parts that are to be put together, remember to leave the proper space between the parts. The distance between these elements is crucial to avoid friction which may damage the final shape of the object. The minimal space recommended for such prints is 0.3 mm between each part. 1. Oxidized SD card pins issue – clean the SD card pins. 2. 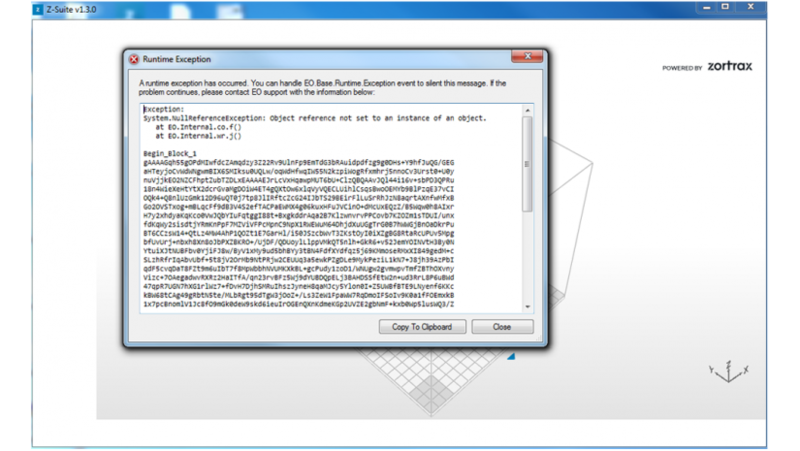 The card needs to be formated – format the card using the FAT 32 file system and upload your .zcode file again. Make sure that you saved the file in .stl or .obj format. 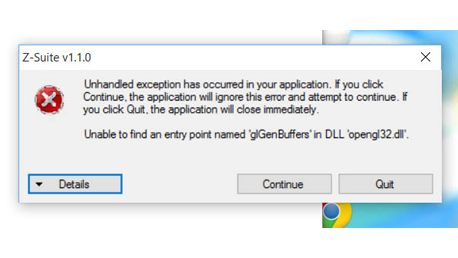 This error is bound to occur if you use a computer with outdated graphic card drivers. In most cases, the latest drivers can be found here or here. To fix the problem, download and install Mono framework. An antivirus program or firewall can stop the Z-SUITE from opening. 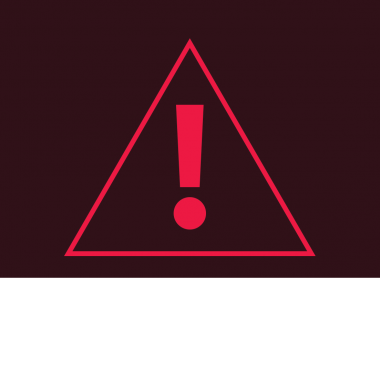 In extreme cases, it may be also caused by a high level of security on a user’s computer. The Z-SUITE should be added to the list of exceptions or the antivirus should be temporarily disabled while opening the Z-SUITE. An antivirus program blocks one of the Z-SUITE’s libraries which is responsible for generating panels. 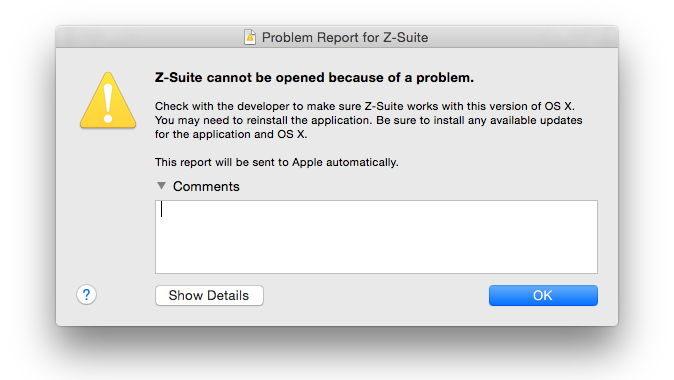 The Z-SUITE should be added to the list of exceptions or the antivirus should be temporarily disabled while opening the Z-SUITE. This problem usually occurs with Host-based Intrustion Prevention System (HIPS), such as NOD32, Bitdefender or Avast.